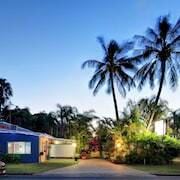 Situated near the beach, this motel is 0.2 mi (0.3 km) from Bargara Beach. 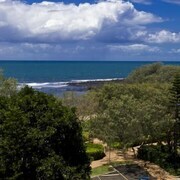 Nestled on the beach, this Bargara resort is in the city center and 0.1 mi (0.1 km) from Kelly's Beach. 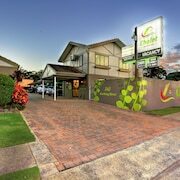 Located perfectly on the main drag through Bundaberg, really central with all the facilities you'll need nearby. Bundaberg has a lot of interesting things to see and do. Which hotels are closest to the Bundaberg airport? 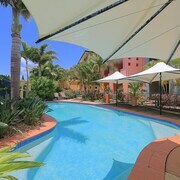 Where to stay near top Bundaberg attractions? 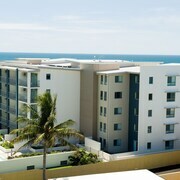 What kind of hotels are in Bundaberg? 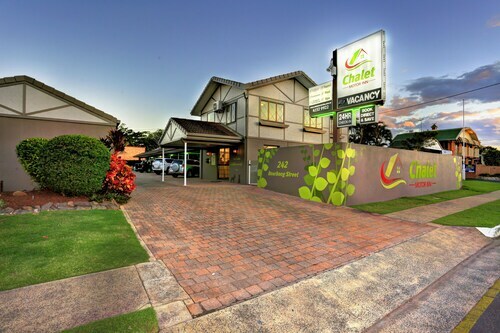 Which hotel chains are in Bundaberg? Families will find kid-friendly activities in Bundaberg, and visitors give high marks for the beaches. This city also attracts tourists with its gardens. Cultural venues in the city include Bundaberg Regional Art Gallery, Moncrieff Theatre, and Bundaberg Railway Museum. The beaches and gardens highlight the city's natural beauty with places to visit including Buss Park, Alexandra Park, and Baldwin Swamp Environment Park. A couple of additional sights to add to your agenda are Bundaberg Tourist Information Centre and Bundaberg Barrel. Dunelm House Bed and Breakfast - This 4-star bed & breakfast features free breakfast, an outdoor pool, and free parking. 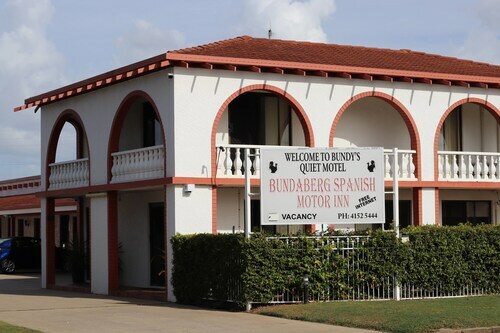 Bundaberg Spanish Motor Inn - Our customers like the quiet location and helpful staff at this motel. This 3.5-star motel features an outdoor pool, free WiFi, and free parking. 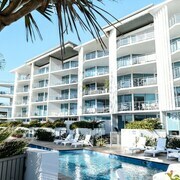 Coral Cove Resort - With a stay at this 3.5-star hotel, guests can enjoy access to 2 outdoor pools and a golf course, along with a private spa tub. If you want to explore the larger area, hop aboard a train at Bundaberg Station. Bundaberg might not have as many public transportation choices so consider a car rental to maximize your time. Known as the Southern Gateway to the Great Barrier Reef, Bundaberg has much to offer tourists all year round. Whether you’re eager to venture out to Lady Elliot and Lady Musgrave Islands to explore the reef, or you’re interested in the museums and galleries of Bundaberg, you won’t be disappointed in this charming QLD city. 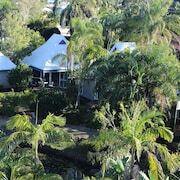 During your holiday, visit the famous Bundaberg Rum Distillery and the “Bundy Barrel” Ginger Beer Factory, stroll through the Bundaberg Botanical Garden, and don’t miss the Bundaberg Railway Museum. Meanwhile, the Mon Repos Turtle Centre and the Mystery Craters are must-see attractions in the surrounding area. 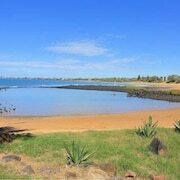 You will never get bored in Bundaberg, so start planning your next holiday today. 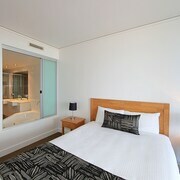 Turn to us here at Expedia.com.au when you’re looking for comfortable and affordable lodging. Travelling with your four-legged friends? 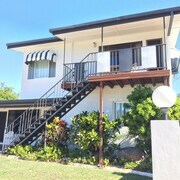 Choose from the pet-friendly accommodation in Bundaberg. Prefer a place near the water? 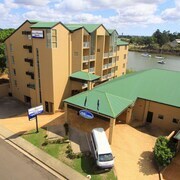 Stay at one of the hotels within easy access of the Burnett River. 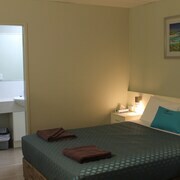 Meanwhile, many Bundaberg motels are located along Isis Highway or Bourbong Street, within walking distance of the city’s best attractions. The quickest way of arriving in town is by flying directly to Bundaberg Airport (BDB), which is just 9 km southwest of the city centre. 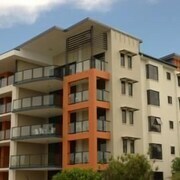 You can also land at Brisbane Airport (BNE) and drive 360 km north on National Highway A1 in a rental car. Alternatively, tilt trains and buses run between Brisbane and Bundaberg. 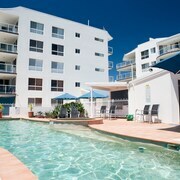 Check out our selection of Bundaberg accommodation here on Expedia.com.au and book your holiday with us today. When you reserve our cheap deals on hotels, flights, and rental cars, you’ll have more money to spare during your trip. 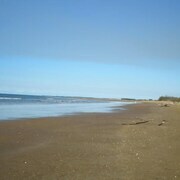 Come to QLD on your next holiday and enjoy all the endless adventures that Bundaberg has to offer. 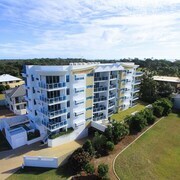 What are the most popular hotels in Bundaberg? 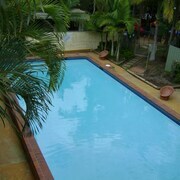 Are there hotels in cities near Bundaberg? 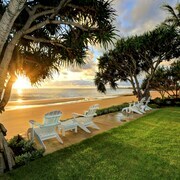 Explore Bundaberg with Expedia.com.au’s Travel Guides to find the best flights, cars, holiday packages and more!